Get the lowdown on Slot Planet Casino with Casino Veteran’s review. Some say he has to watch live feeds of roulette tables to get to sleep, others that he has food shaped like casino chips. 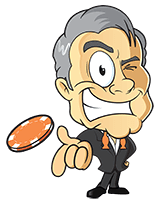 He is the Casino Veteran and he thought it was high time that he checked out what Slot Planet Casino had to offer. The Slot Planet relies on trusted, well-known game providers, with offerings from NetEnt, Microgaming, NextGen Gaming, Aristocrat, Blueprint Gaming and NYX. They bring customers all the best and latest games in a high-quality gaming environment. 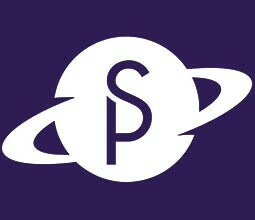 Slot Planet accounts can be funded by wire transfer, major credit cards, GiroPay, Skrill, iDEAL and NETELLER. Many major currencies are accepted, and a wide variety of countries are accepted, although there are some restricted countries, as is usual with online casinos. There is a minimum deposit of £10 and maximum bet of £5 when playing through a bonus. The Slot Planet casino provides 24/7 customer support via live chat and email. Slot Planet site is designed to work well on any mobile device. There is no need to download an app as the mobile version of the site is available by browser from any mobile device. When you access the Slot Planet Casino via a mobile device, you will automatically be presented with the mobile version. Many of the slots available from the main website are accessible via mobile, and you will enjoy the same rewards and benefits as when playing from the main site. There are less table games available on the mobile version and no live games, but what is available works well. Slot Planet online casino is currently offering a great welcome package to all new customers. The casino will match your first deposit with 100% bonus, up to £/€222, plus you will be offered 22 free spins, available to use on Starburst. Slot Planet also offer daily promotions to existing customers. These can change at any time but currently include a Friday evening Happy Hour bonus, a Saturday Special with a 30% boost to the first deposit made between 12:00 and 15:00 and an ongoing loyalty points scheme. 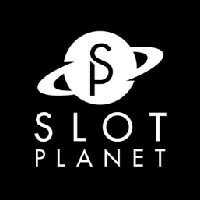 Check all the Slot Planet current bonuses for existing customers under the Promotions tab on the home page of the website. Many of the above table games also come in several different versions. There is certainly no shortage of variety when it comes to playing at Slot Planet. The Casino Veteran paid a visit to the Slot Planet online casino and was pleased with what he found there. It was quick and easy to make an account, and on browsing through the available slots, he was very happy with the variety of quality games he found there. He liked how easy it was to sort through games and navigate the different categories of games, including slots, table games, live games and jackpot slots. He played some Starburst, Legacy of Egypt and an old favourite of his, Bonanza. He also tried some poker and was happy to find All Aces among the Slot Planet offerings. The Casino Veteran enjoyed his evening and made some serious progress towards fulfilling Slot Planet wagering requirements.